The destination club has achieved good growth this year, even despite the economic climate. It now has over 500 members. Todd Miller, VP Marketing at Quintess, LRW said the last year had been challenging for the club, but he was quietly optimistic looking forwards. In June the clubs second home in La Quinta was opened for reservations from October 1st. This Spanish mission-style home overlooks the 17th green of the Greg Norman Golf Course. 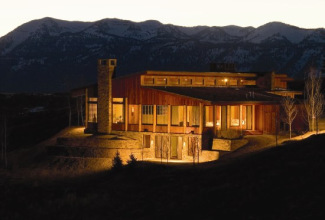 In July, Quintess added two more homes in Aspen Highlands, to give a total four homes in the Aspen area. Each of these new Aspen homes are 5,000 sq ft and four bedrooms and a 150 yard walk to the lifts. Quintess homes are usually at least 4 bedrooms with many of them offering 5 or 6 bedrooms  so plenty of room for friends and family. The club has added a little over 70 members so far this year, bringing its total membership to over 500. Todd mentioned that member referrals have driven a good amount of this growth. Quintess entered a partnership with the Oyster Circle, a European focused destination club, earlier this year. Members of the two clubs can now travel to the other clubs homes, so for Quintess members they now have many more location in Europe to choose from. Todd told me the partnership is working really well, he didnt have the exact numbers but estimated between 40-60 reciprocal trips had been taken so far. The two clubs homes are of very similar high standards and are very complimentary, with Oyster Circles homes throughout Europe complimenting the more North American focus of Quintess. Todd indicated that Quintess were looking at other strategic partnerships and are in advanced stages of a new club development with a globally-recognized partner. At the end of last year the club members had voted to amend the clubs fees and annual dues now cover operations expenses. As Todd put it the club is built to be sustainable. The club makes it financial statements available on the members website and will share theses financials with prospects. Clearly this is a good thing to have this level of openness and transparency. If youre writing a six figure check to join, you want to know that the money is safe and is being put to good and proper use. Quintess also offers a deferred payment option, which allows new members to put down a portion of their initial deposit and pay the balance over a year or two. Overall Quintess appears to be weathering the economy very well and most importantly its members are enjoying their vacations  which is the real reason for destination club membership.